Posts from the Road: Three Ohio Winter Ales – I'll Make It Myself! 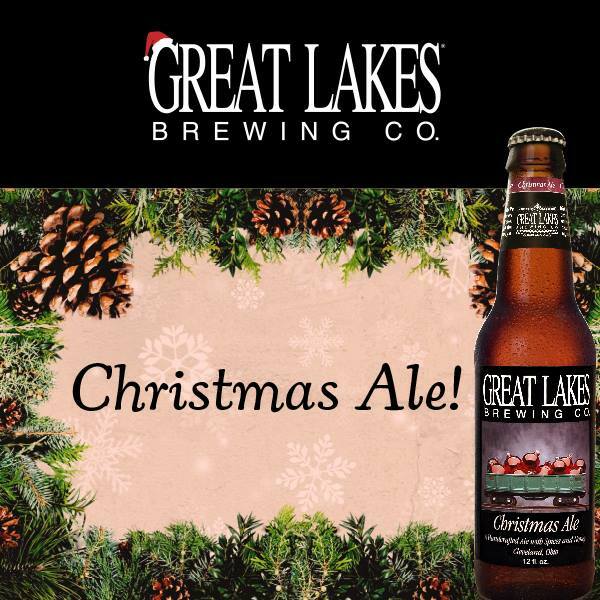 Image via Great Lakes Brewing’s Facebook page. This is a lighter-bodied beer than most winter warmers and ales. Instead of the typical heavy clove flavors, this ale has a strong fresh ginger flavor with hints of cinnamon. The honey-ginger combination makes the beer almost floral, but it’s not cloying or sweet. By the way, if you’ve never tried a local honey, the floral flavor in honey is actually pretty strong. I know local raw honeys are more expensive than the generic stuff, but if you have the chance to try some, I can’t recommend it enough. In the Pacific Northwest, I’m particularly fond of Wessels from Oregon, but I think the best honey I’ve ever had was from my friend Caroline’s bees in Suzu. This winter ale has spruce, which adds an interesting twist. Roasted malt notes with hints of raisin and cinnamon flavors; a little bitter. This ale would be a great dessert beer. I don’t usually go for the sweet ones, but I felt like the balance was good. The beer is brewed with actual molasses and pairs a big, bold molasses flavor with lots of cinnamon and cloves. Does what it says on the box! All of these beers are excellent–just depends what kind of beer you prefer!